"When looking for artists, I’m very much about finding out about the person making the music, rather than just signing a track; I’m interested in why the track exists", explains Louis Carnell, aka Visionist, describing the philosophy of Codes, the label he runs together with PAN’s chief Bill Kouligas. When Louis and Bill discovered Sky H1’s music, they probably didn’t know much of her personal story. She just uploaded some tracks on Soundcloud, not really expecting anything; then got a response from Uli K of the Bala Club community who wanted to collaborate with her; then Why Be picked one of her tracks for his mixes — and after that her music "sort of got spread to the wider audience", as Sky H1 herself sees it. However, Louis and Bill might feel, just as we did, that there’s something to learn behind Sky H1’s ephemeral synth loops and flattened vocal samples. A strange clash her music creates is that it stays emotional yet distant from the listener. It summons the image of a glacier which shimmers unnaturally with different kinds of colour combinations. 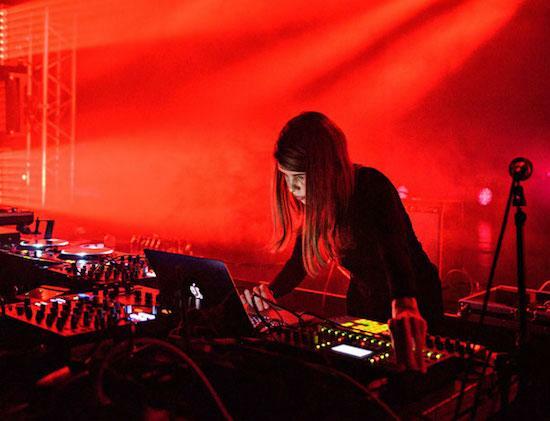 Sky H1’s concerts, during which her motionless, concentrated figure in black plays an uninterrupted set consisting of both released and unreleased tracks, make you think you’re being hypnotised. Another oddness is that her tracks might feel too amateurish at one second and really progressive the next. It’s disorienting, but in a pleasant way. Maybe that’s thanks to the obvious trance connection; or even to a phase of an interest in jungle and drum & bass which took place many years ago. But it’s also because of “going through the different stages of grief and accepting the positive effects the loss of someone”, which her latest EP Motion is about. 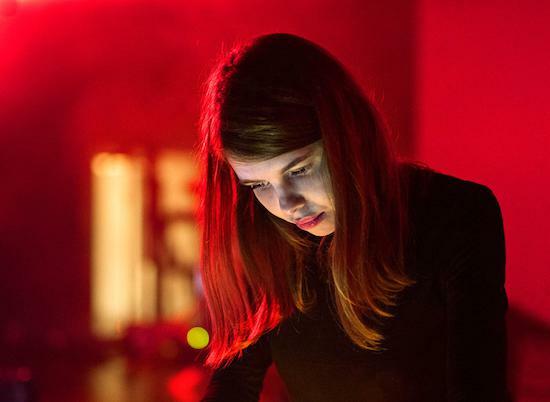 Before going to Berlin’s CTM Festival, Sky H1 tells us more. I like the story about how you stole the Twin Peaks OST from your parents. You mentioned that it had been your favourite album since then. When you heard it for the first time, had you seen the actual series or was just a soundtrack? Sky H1: It was just a soundtrack — I didn't watch the series until I was a teenager. I don't remember if my parents didn't let me watch it, or if it ran on TV too late. This music really allows you to listen to it over and over, and I was doing it quite a lot as a child. I was just listening to the soundtrack, making up my own stories, while watching the pictures in the booklet on CD. What were these stories about? And what did you think of the series when you finally watched it? SH: I can't really remember what they were about, but the midget dancer [Michael J. Anderson as Man From Another Place] was taking a major role. I loved the series, of course; it was like an extra discovery for me. I think it sort of fit well to the images I've made in my mind, capturing the whole mood of Twin Peaks in that sense. You also said once that your grandfather was a piano player, and you were influenced by him. What was he playing? Do you remember some specific music that intrigued you? SH: He used to be into very emotional piano music and played a lot of Chopin and Rachmaninoff. In that sense, I think that as a child I got fed this kind of music. I was sitting in the room next to him, listening to him playing, drawing stuff or doing my own thing. And what I do now is a sort of reflection of it as well. A lot of it unconsciously stayed with me. Was he a professional player? Did he teach you to play music? SH: Yes, he was connected to the academy of the town where he was living. He used to teach people at home. He taught me something, but I was very resistant as a child at that point and didn't want to learn to read sheet music. I preferred just playing it without actually learning the theory behind it. Was there one significant event that pushed you to make music? SH: Not really. I think I started experimenting because people around me were making music, but I never took my stuff seriously. It was mostly a personal, more private thing, which I never really shared with anyone. For a lot of years I was learning it on my own, doing it on my own, listening to it only by myself. And yeah, I don't think I took it very seriously, until maybe the point when people started to respond to it positively. At the time I thought that maybe it was something I could do more seriously. I don't know if you can talk about it, but once you stated that your EP was made during some dark period of your life. SH: It was made after my dad passed away. A lot of other things occurred in my personal life at that time. When it happened, I decided to pour myself [into music]. Experiencing that so closely, I've understood that you really should do what you want to do with your life. That made me realise how much I really enjoy making music. I decided that was where I should go; that was the thing I wanted to do more intensively. So, that was a very dark period, but it also had a major impact on my personal life in a very positive way. I probably wouldn't have changed if I hadn't had this experience. You contributed to a Co-op compilation which was a "call-to-action, and an invitation to be aware of the organizations and communities which have been active in a struggle for equality and aid for years". Does current situation in the world affect you much? SH: It definitely has a lot of impact on the music I'm making. I didn't expect it to be that way, but political events that are happening sort of made me compose music that I've never composed before. But I guess it's normal that it has an impact on how you personally feel, as we are all both influencing some major events and are influenced by them in turn; so you get kind of triggered by it. I felt it was the good time to release the compilation that I had; it was just a nice gesture. And the track we made with Ssaliva fitted really well. The compilation came out after the elections in the US. For a lot of people it felt like the end of the word, especially after an already crazy 2016. It made you feel like there was no hope for a humanity. The world felt even darker than it actually is. The word trance is sometimes used to describe your music. How do you relate to this? SH: Yeah, I use a lot of old trance VST-s, so there's definitely a trance influence which I really love. I wasn't really listening to trance when I was a kid. It sort of came to me when I listened to more commercial Eurotrance stuff on the radio, maybe that kind of stuck to me. Do you sing, or do you want to sing? SH: When I started making music, I used more of my own vocals than I'm doing right now. Now it's more pop samples but I've been thinking about using my own voice a bit more again, maybe for my next record. Is the live visual representation important for you, and how's your performance going to look at Berghain? SH: I used to think that it was very important to have extra visuals behind me, so I worked with some people on that but now I prefer not having any visuals at all. I think it takes away a lot of concentration on the people; people get distracted from the music, and start to focus more on the images than what they're actually listening to. It takes away a bit of magic, I think. I'm not really into 3D graphics anymore. If I do use images again I'll make them a lot more personal. I might collaborate on something with a friend of mine in Brussels who is a filmmaker. As for the Berghain, I've been there at regular techno nights, on Saturday and Sunday, but I haven't experienced it in a festival setting or different kind of parties. I'm very curious about how my music is going to sound there, and it's kind of scary for me as well. I feel like my music is very intimate. It's weird to put it in that kind of space, like into a big hole. It's going to be a challenge, especially that early and with that kind of line-up. My favourite performances were in a small scale club context, later at night. I like getting booked in between a lot of harder stuff. Then people experience it like it’s something peaceful, something fresh in between very hard stuff. People responded to my music positively in that kind of context.